The warm weather has arrived, and you know what that means: It’s the perfect time to scope out exciting events that you can enjoy outdoors! If you enjoy listening to good music, we’ve made your search a bit easier for you. Head out to the Summer Sounds Concert Series this month and let the good times rock and roll! Each Monday, head out to Bethany Lakes Park for an evening that you won’t soon forget. 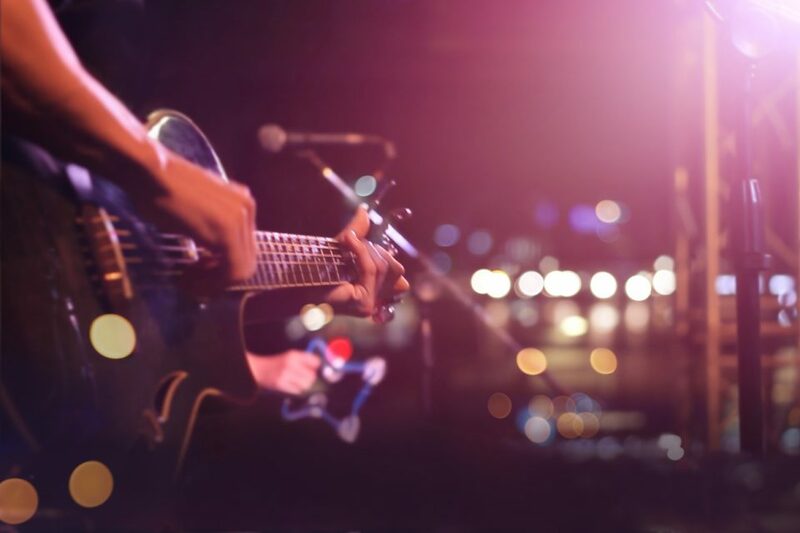 The Summer Sounds Concert Series features talented musicians from across the state, as well as delicious food that you can chow down on as you listen to the tunes. These concerts will take place outdoors, so grab your lawn chair and get ready for a good time! Be sure to arrive early if you’d like to get a FREE meal. The first 1,000 attendees to each event will be provided a free burger meal from In-N-Out, consisting of a hamburger or cheeseburger, chips, and a drink. Thanks to the Parks and Recreation Department and the City of Allen, all of these concerts are FREE of charge. Therefore, you can enjoy a good time without breaking the bank! The 2018 concert line-up starts off with The Spazmatics, a four-part band that hails from Austin, TX to liven up the streets with 80’s culture. Jam out to some of your favorite old-school tunes with this lively group. Oh, and don’t forget your tube socks and suspenders! Rock and Blues are perfectly intertwined with the quality music performed by Memory Trip. This band covers songs that were popular from the 60’s through the 90’s, so you are sure to hear your favorite old school tune on their set list. Put on your dancing shoes and prepare to stay on your feet all night long as their electric/acoustic act brings back the classics and well-known hit that locals love. This trip down memory lane is sure to be an unforgettable experience. During this performance, you’ll get a chance to see two skilled musicians live and in person! Kaylee Ruthland and Tanner Fenoglio are hitting the stage together, and they’re putting on a show that you won’t want to miss. Kaylee’s cheerful bliss keeps listeners smiling from ear to ear as she puts on a country, yet “cutting edge” musical performance. Tanner is a singer, songwriter and musician who plays electric guitar and acoustic guitar. He puts his personal touch on the traditional country genre, creating a style that’s all his own. You’ll be pleased to see the magic that’s created when these two talented artists come together. Get ready to dance the night away at the Moving Colors performance at the end of the month. This popular dance band puts on an exciting show for people of all ages, while incorporating on-stage painting, trash can & bucket beating, and even handstands! They’ll play a variety of music, ranging from old school hits to songs that are popular today. This is one show that you just have to see for yourself! Are you in need of a high-quality vehicle to get you to the Summer Sounds Concert Series? Arrive to the show in style with a car, truck, or SUV from Jay Hodge Chevrolet in Sulphur Springs, TX. No matter what you are looking for, our dealership has got you covered. Stop by and allow our experts to assist you with your purchase, today! We look forward to seeing you soon.